The city of Bristol has been an important and integral dockland township area for hundreds of years. Bristol has been an integral commercial hub throughout the history of the United Kingdom and has grown to become a booming cultural metropolitan city in the last century. Bristol is built on the banks of the River Avon and at the estuary where it joins the sea, to form the Bristol Channel. Bristol is connected to the rest of the country through links with the M5 and the M4, directly accessible from the M32. At less than an hours’ drive from Cardiff, 90 minutes from Birmingham and 2 hours from London; Bristol’s South-West location is well routed for transport. 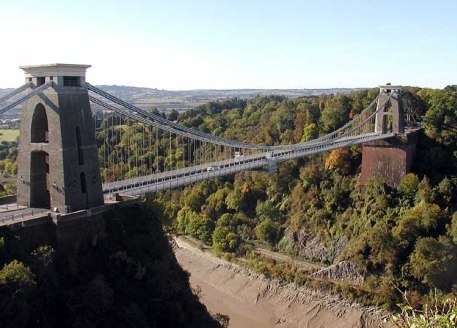 With a number of Universities and strong connections with the motorway system linking the rest of the country, Bristol is both a popular area for relocation and tourism and is creating many opportunities for student property investment in Bristol. Bristol has a dedicated airport, two large railway stations and a significant bus network. Park and Ride sites help with both congestion and the city’s reduced environmental impact. Bristol is home to almost half a million residents, is the 10th largest English district and has a thriving ethnic minority population throughout the county. Including the metropolitan areas of Bristol outside of the city, there are more than 1,000,000 people who can call themselves Bristolian. The city is the largest of its kind in the South West region and has a significantly young population (when comparing under-16s to pensioners). The focus of student accommodation investment in Bristol is the large population of full time students in the city, which currently represents approximately 10% of the overall demographic. Firmly established as one of the UK's most popular student cities, there are currently in excess of 47,000 full time students studying at the University of Bristol and the University of West England. Demand for student property investment in Bristol is currently focused around the main city centre district, particular in the more desirable Clifton area, which is in close proximity to the main campus of Bristol University. Bristol is best known as the famous docks of the Industrial Revolution and the Empire before that. Whilst it still maintains a strong manufacturing and trading power, the city has become far more cosmopolitan in recent years and has strong connections to finance and the arts. The Ministry of Defence is based in Abbey Wood, Filton and is the UK’s largest producer of defence equipment employing more than 7,000 people. Shopping centres like Cabot Circus and Cribbs Causeway make the city a popular day trip attraction across the country and the Bristol International Balloon Fiesta draws in thousands of enthusiasts to celebrate the city’s aeronautical strengths. Bristol was very narrowly beaten in the race for European Capital of Culture in 2008, by its dockland rivals Liverpool. The same year saw Bristol celebrate the award of the ‘Best City in the UK and Ireland’ from the Academy of Urbanism. Slightly differently to most of its peers, the University of Bristol is spread across a significant area of the city and isn’t based on campuses. Whilst the majority of the buildings are concentrated on a central location affectionately named ‘University Precinct’, activities are spread widely around the city and county. The base of the University’s administration is found very centrally in the city, very close to the Bus Station. Bristol Temple Meads station is just 2 miles away, Parkway station 7 miles away and Bristol Airport 9 miles. A strong bus network along with several Park and Ride centres make the University of Bristol buildings very accessible, despite their wide coverage. The M4 and M5 motorways make London and Birmingham less than 2 hours’ drive away. There is a high demand for places at University of Bristol, with less than 20,000 on offer across the stages. Around 13,000 of these places are undergraduates, with the remaining 5,000 – 6,000 being postgraduate courses. 10 applications are received for every 1 place granted, with more than 10% of these coming from overseas prospective students. Throughout the studying population, just over 53% of those are female. An extremely impressive 96% of all students will complete their entire degree, whilst an even more impressive 83% will graduate with a 2:1 or a First. 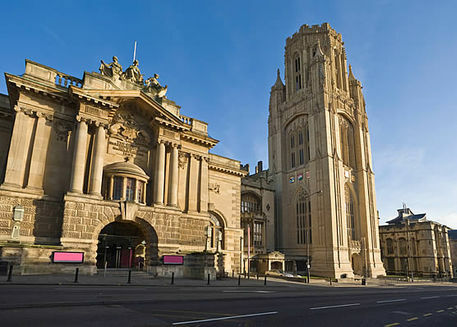 The University of Bristol is internationally famous for its research led operation and also for the development and improvement of national teaching. As opposed to vocational or skills-based courses, the University is predominantly academic and is often rewarded with a place in the Top Ten Universities in the UK as a result of this. Strong scores in areas involving the Sciences, Computing and Mathematics are consistent alongside subjects including Economics and Finance. In a recent analysis, Bristol ranked in the top two levels across 36 of their 46 departments. 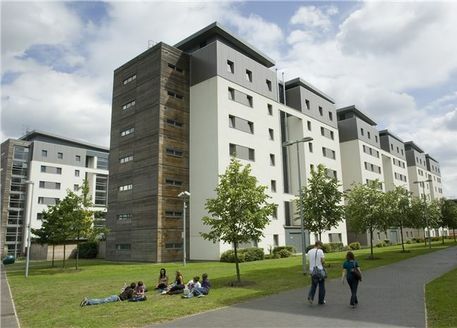 UWE’s main campus is based at Frenchay, a town five miles north of Bristol centre. St Matthias in north-east Bristol is also home to a UWE campus, along with Bower Ashton in the south-west of the city. As the university has expanded, it has opened further premises in the surrounding area, with agriculture and sports facilities in Hartpury and satellite colleges in Bath and Swindon. The Frenchay campus is located very close to the M32 motorway, which connects to the M4 and M5 to make it easily accessible from around the country. Bristol Temple Meads train station is less than five miles away, the airport less than half hour away and bus routes network the campuses, accommodation and city. UWE is one of the largest universities in England, with more than 30,000 students currently in attendance across all of its sites. The majority of these (25,000) are studying undergraduate courses, whilst the remainder is made up of Masters, Doctorates and Postgraduate students. The University is slightly more female than male, whilst a healthy number of students are from non-EU countries. Almost 80% of all enrolled will complete their entire degree and well over half will graduate with a 2:1 or above.